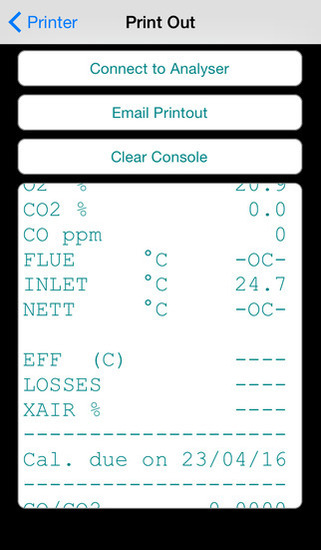 The KANE Wireless Printer App allows you to transmit live analyser readings from an Apple™ compatible KANE455 / KANE457 / KANE3500 (sold separately) to your Bluetooth™ enabled iOS device – iPad / iPhone / iPod Touch. Other Apple™ compatible products from KANE will follow. From the app you can then: • View analyser data • Copy on-screen text for pasting into a text editing app • Email on-screen text to your contacts • Enter your name and company to appear at the top of any email you send from within the app. Please Note: This application is only for use with Apple™ compatible KANE analysers manufactured in 2015. If you are unsure or have questions about the compatibility of your analyser, please contact us.